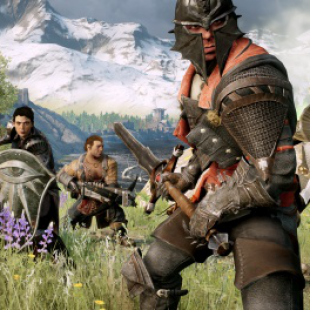 Lead designer Mike Laidlaw says that Dragon Age: Inquisition is "multi-region," not open world. Dragon Age: Inquisition is looking big. So big in fact that some have been branding it as an open world game much in line with other in-development RPGs. That being the case, it's a classification that lead designer Mike Laidlaw wouldn't choose himself. "'Open world' I think is a really loaded term, because everyone immediately thinks of Skyrim and assumes everything will be exactly like Skyrim," he said. "In our case, there are extremely large regions you can explore. It's a multi-region game, which means that you'll be traveling with a world map." Laidlaw still aims to include elements of exploration and discovery generally held as tenets of open world gaming. That said, he hopes to employ them in a more structured fashion in Inquisition. "When you're discovering things, you should feel like they're part of the overall game and not random. I would say that it has elements of open world for sure, but it's something closer to the feel we had in the Baldur's Gate games or in [Dragon Age] Origins." Players, in turn, can expect the game's various regions to be "quite dense." According to Laidlaw, players will be able to "spin the camera" and see things that interest them from get-go. These will range from smaller self-contained moments to things that can help shape and influence the wider experience of the game depending on how they're played. There will also be content that players can miss based on how deeply they explore the game's world and the choices they make in the process. While Laidlaw was unable to pin down at this point just how much of the game will depend on player's actions, he estimated it to be within "a fifth or a quarter."